Any parent knows that from time to time, their child seems to have “selective hearing” only. Children then to hear only what they want to hear and ignore everything else. This can make it quite difficult to have healthy communication with your child. Many times, parents may feel like they are talking at their children instead of talking to them. Luckily, listening is a skill that can be improved upon. Active listening and strong communication skills are key to proper communication throughout the whole life. Your children can improve their listening skills. There are various activities and practices that you can do with your child, and many of them come in form of fun children’s games, which is a plus, as learning through play one of the best ways to learn. 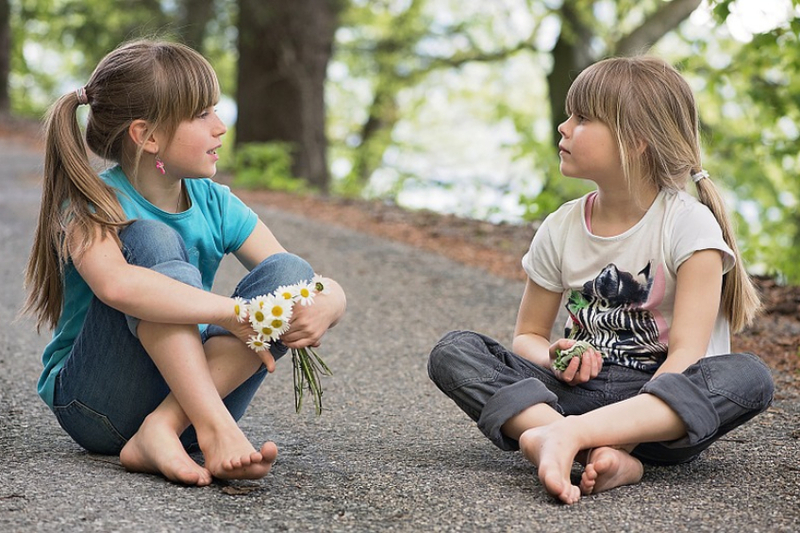 If you want your child to be a good listener, you need to be a good listener as well. Many children pick up on actions and traits of their parents by mimicking their behavior, which means you always need to set a strong example for your children. If you are constantly distracted when your children are speaking to you, or not truly listening to what they are saying, they will most often assume that this kind of behavior is normal. Even though our children tend tell stories during the most inconvenient times, taking a break from what you’re doing to hear them out can encourage similar behavior when the roles are reversed. Take the time to actively listen to their stories and the information that they’re sharing and they will learn to do the same. Maintain eye contact when your child is talking to you and don’t attempt to multi-task or complete other projects. Focus on truly listening to them. Part of the reason our children may not be listening is because the topics are not interesting to them. While our children need to pay just as much attention to boring topics as they do to topics they find intriguing, catching and holding their attention through interesting conversations is a great way to practice their listening. Spend some time telling stories or talking about your child’s hobbies and interests. Ask them questions and allow them to provide feedback or add to the conversation. By keeping their attention and maintaining engagement, you are helping them practice both good listening skills and active conversation. Also, avoid multitasking. You might be preparing dinner or be otherwise busy when your child wishes to talk, but try taking a break and fully devote your attention to your child. Many parents tend to talk to their children with their back turned to them, as they are often busy with doing chores around the house. As children learn by mimicking, they might mimic your multitasking when you try to talk to them. You might think they are not interested, are not listening to you properly, when they are in fact just mimicking your multitasking. When your child doesn’t have the best communication skills, it can be easy to grow frustrated or anxious when they are telling a story or sharing information. They tend to add too many details, often adding things that didn’t really happen, or will go on and on about things they’ve already addressed. However, that’s just part of being a kid. In these situations, you will want to be an active listener. Stay interested in their story – no matter how many times you’ve already heard it – and give nods of encouragement or other type of positive reinforcement. When you give your children time to share, they will learn to give you time to share as well. Practicing positive reinforcement while listening can also promote strong listening skills in your children as they will recognize this behavior to be encouraged and accepted. Interrupting while another individual is speaking can be incredibly rude, especially when the interruption has nothing to do with the conversation at hand. However, with kid’s short attention spans, they may interrupt you frequently – and you may be doing the same thing to your child without realizing it. Try not to interrupt your child while they are speaking and explain to them that you didn’t interrupt them when they were sharing, so they have to hear you out it’s your turn to share. Explain that interrupting someone is rude and that you should wait until the end of a story or sentence before you talk. If you have questions or are confused while they are talking, teach them how to respectfully interrupt without taking the attention away from the individual speaking. 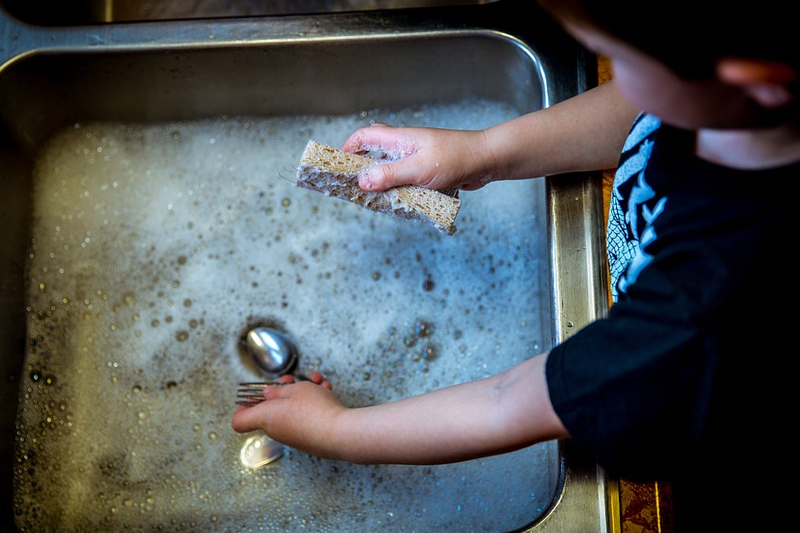 If you believe that your child isn’t listening when asked to do chores or complete tasks, it may be because you’re making things too complicated for them. They may hear what you’re saying but are unable to retain or comprehend the information if it is not laid out clearly and in a way that is simple to understand. Remember, kids don’t do well if you give them a lot of chores at the same time. To improve their listening and comprehending skills, keep your instructions clear and to the point. Limit the number of orders you give and try to make them as direct as possible. Always use numbers, this makes it easier to remember. Example 1: Tell your child “I will ask you to do three things: Pick up your toys, make the bed and wash your hands before dinner”. Ensure that you have eye contact with your child before delegating responsibilities and orders. After you’ve given instructions, ask your child to repeat them back to you. This will give them time to understand what was asked of them and they will remember the tasks more clearly. Use key words as well. If you have a larger number of chores ready for your child, make a list together. The act of writing down the information ensures they will process what they are hearing. Additionally, having a list makes it easy to refer back to instructions. Teach your child that chores are a normal part of the day. Sit down once a day and discuss what needs to be done. Give your child a paper and a pencil and work on the list together. Say the chores aloud, then ask them to add them to their list. Once you’re finished, ask them to read you the newly created list back to you. It helps if you have a list of your own. When making lists, ask your child to help you, and read all the chores from your list, and then ask them whether you forgot anything. By having your own list, you are teaching your child that they are not the only ones with chores around your home. 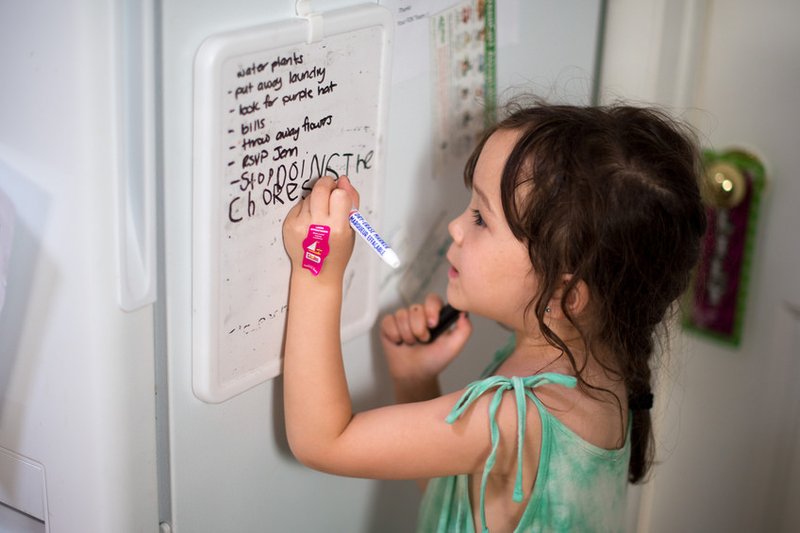 Have the lists in an easily accessible place – many homes have the dedicated chore list space on their fridges. 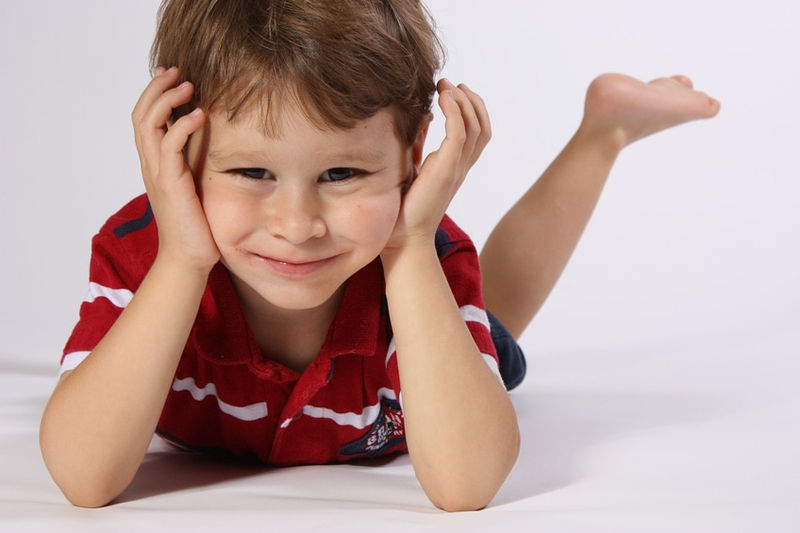 The are many activities and games that you can do to improve your child’s listening skills. For younger children, this may include games like identifying animal noises or playing a guessing game with a bag of noisy objects and instruments. Playing “I Spy” or “Simon Says” are other great ways to get children of all ages to listen actively. 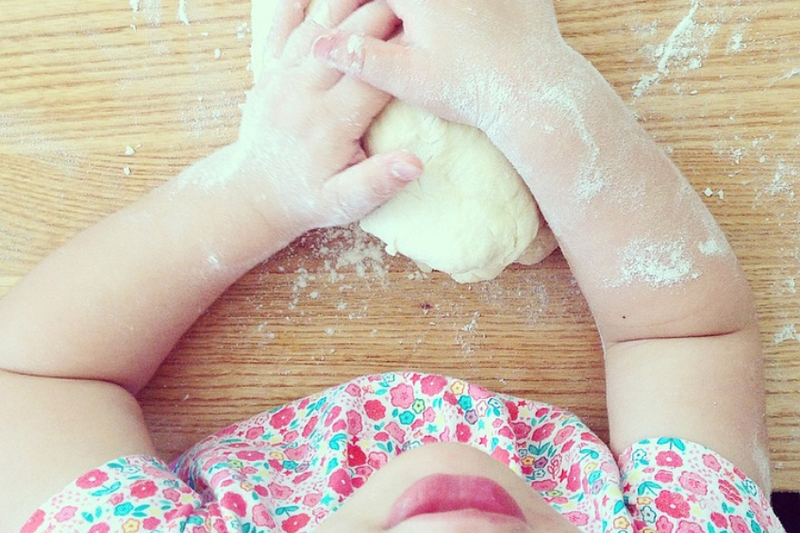 For older children, cooking is a great way to promote listening skills. Because your child will need to follow the instructions of a recipe, they will need to listen to you completely and entirely. There are many different recipes for kids of all ages, from no-bake options, which are safe for young children, to more complex recipes for older kids. We frequently think about story time as a means of helping our children fall asleep. 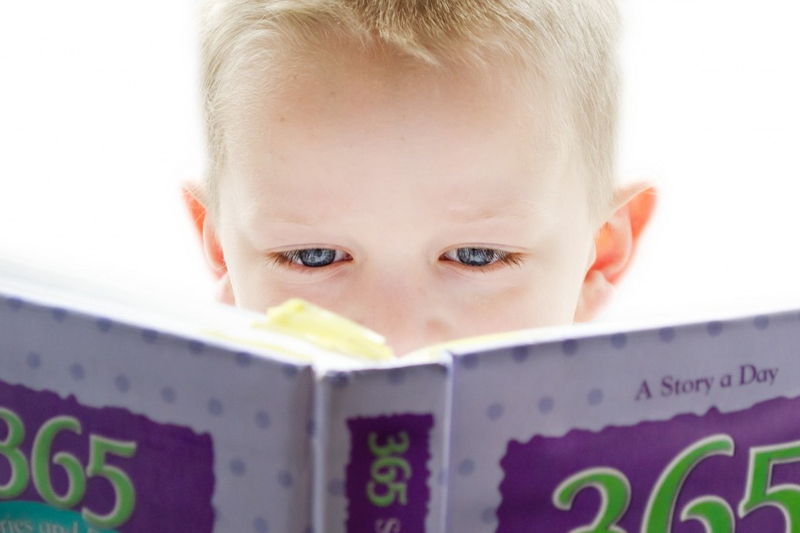 Story time can improve your child’s listening skills if you take it to the next level. Rather than simply reading to your children before bed, you can talk about the stories as well. As the story progresses, ask your child what they think will happen next and take breaks throughout the story to discuss what has been going on. This will encourage your child to pay attention to the events in the story. Once you’re done reading, ask your child what their favorite part of the story was. Ask them to describe what happened in that part and encourage them to share why they enjoyed that part so much. If you want to improve upon the way your child listens, you should set a strong example. The skills, behaviors, and habits that your child has are usually a reflection of your own skills and behaviors. Give your child your full attention. Stress the importance of respecting an individual who is currently talking and set clear boundaries about when an appropriate time to chat may be. Give your child clear and direct instructions. If you want your child to succeed, make it easy for them to do so. Don’t attempt to delegate chores or responsibilities while they are distracted, completing other tasks, or not paying attention. Get their attention, say what you require them to do, and ensure they’ve heard what you’re saying. Improving upon listening skills takes time, but the results will pay off throughout your child’s entire life. Strong listening skills are crucial for succeeding in school and having strong relationships, so the earlier you practice improving upon listening, the better. Remember that each child is unique and will learn at their own pace and in their own way. As their listening skills improve and they grow older, you can try new strategies and even develop games, activities, or processes on your own that work well for you and your children.